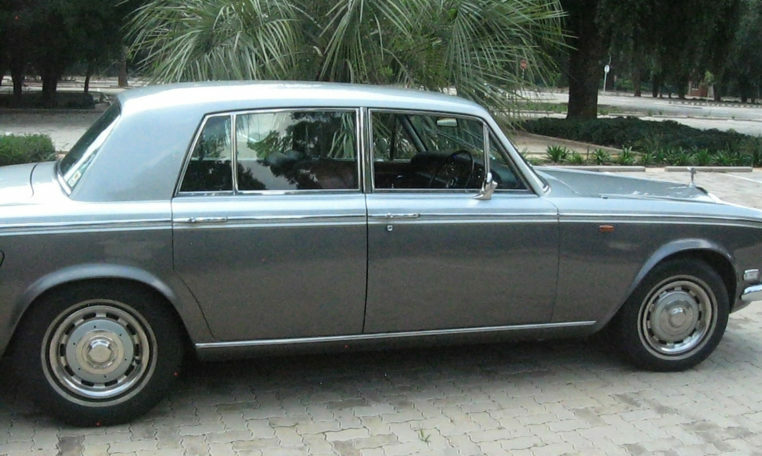 The Rolls-Royce Silver Shadow was produced in the United Kingdom in various forms from 1965 to 1980. 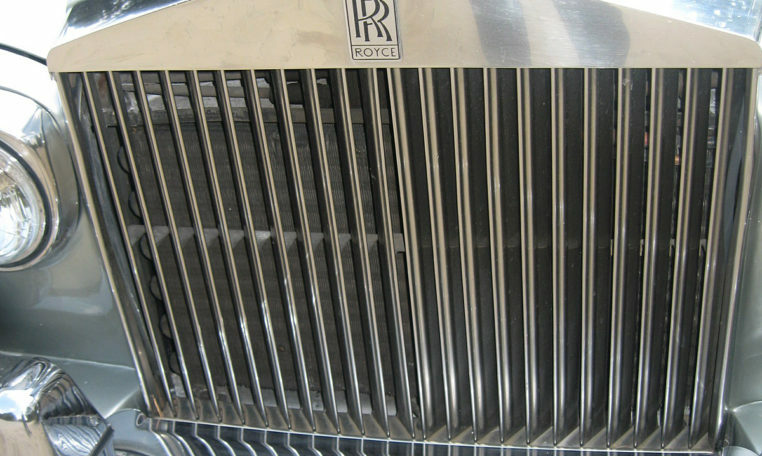 It would be the first Rolls-Royce to use unitary body and chassis construction, in reaction to concerns that the RR company was falling behind in automotive innovation. 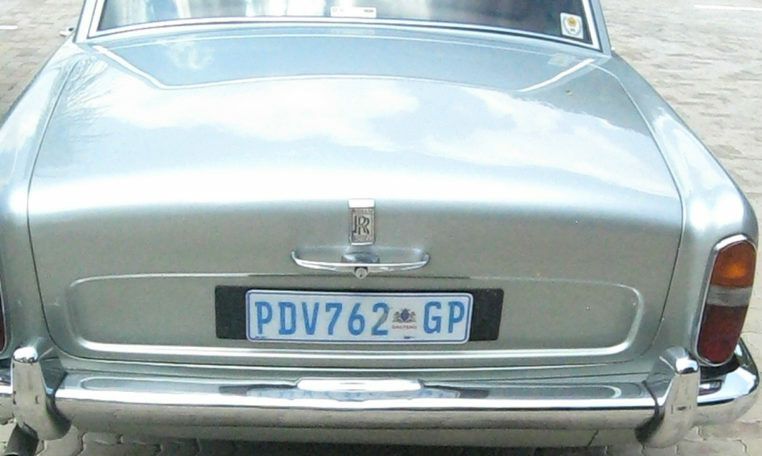 The Silver Shadow was produced from 1965 to 1976, and the Silver Shadow II from 1977 to 1980 respectively. 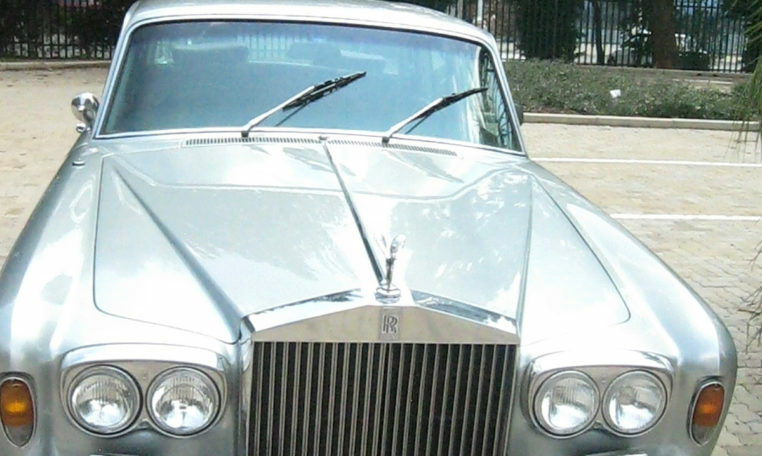 The model was intially planned to be called “Silver Mist”, which would have been a natural progression from its predecessor Silver Cloud. 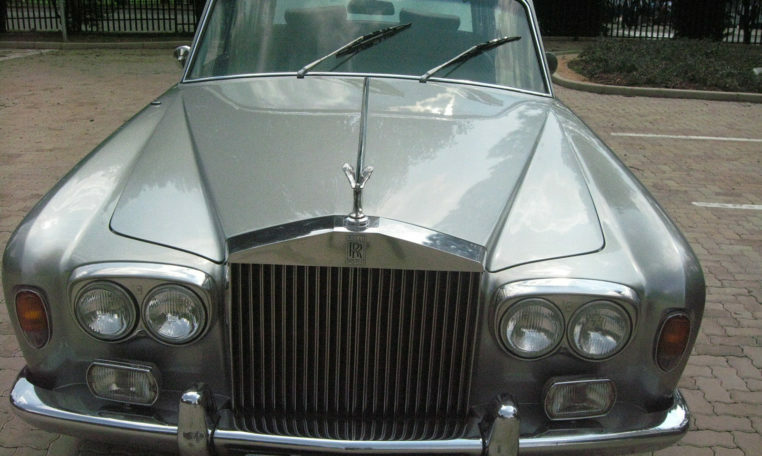 The name was instead changed to “Silver Shadow” after they realized that “Mist” is the German word for manure, rubbish, or dirt and they managed to avoid that embarassment. 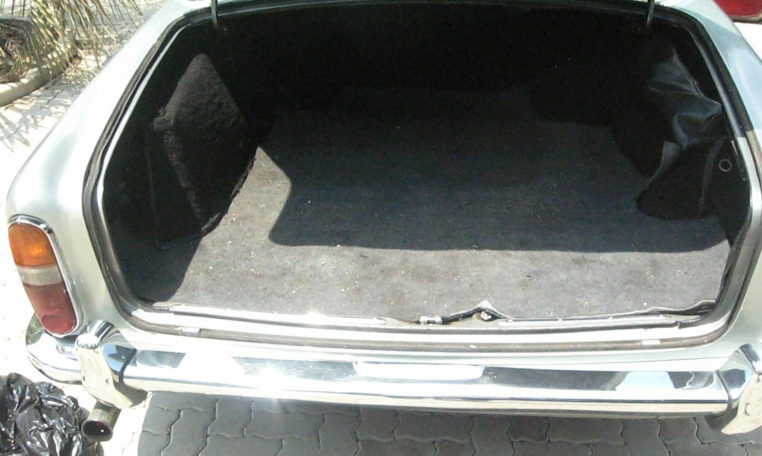 The original Shadow was 3 1?2 inches (8.9 cm) narrower and 7 inches (18 cm) shorter than the Silver Cloud, but it nevertheless managed to offer increased passenger and luggage space thanks to more efficient packaging that was made possible by the use of unitary construction. 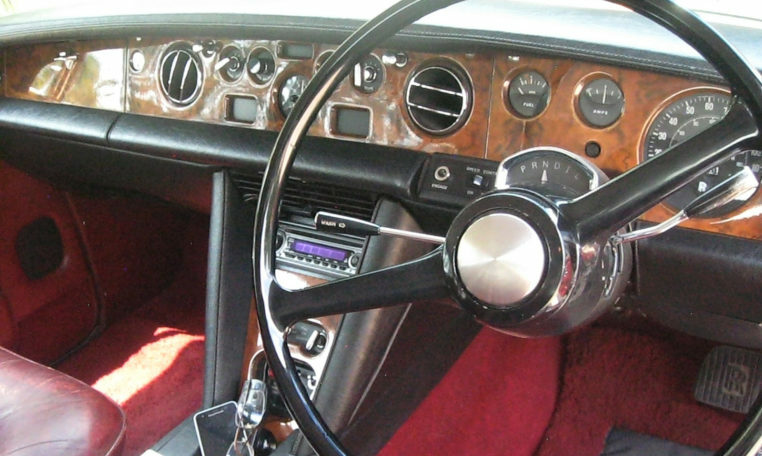 The Silver Shadow introduced many new features such as disc brakes, and independent rear suspension, rather than using the outdated live axle design of previous models. 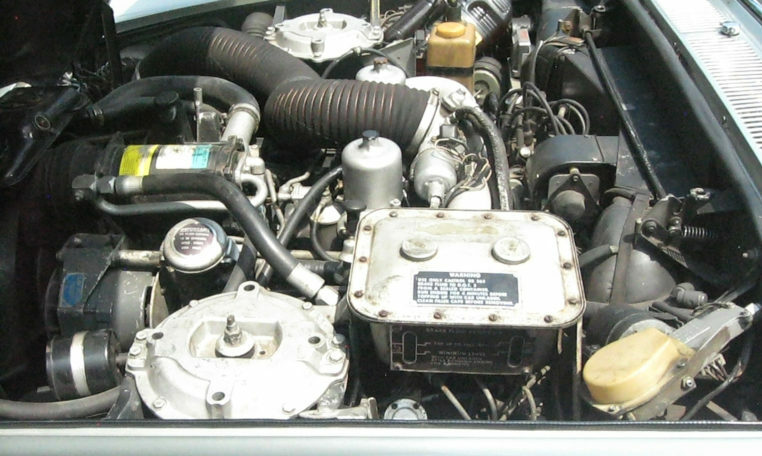 The Shadow featured a 172 hp (128 kW) 6.2 L V8 engine from 1965 to 1969, and upgraded to 189 hp (141 kW) 6.75 L V8 from 1970 to 1980. 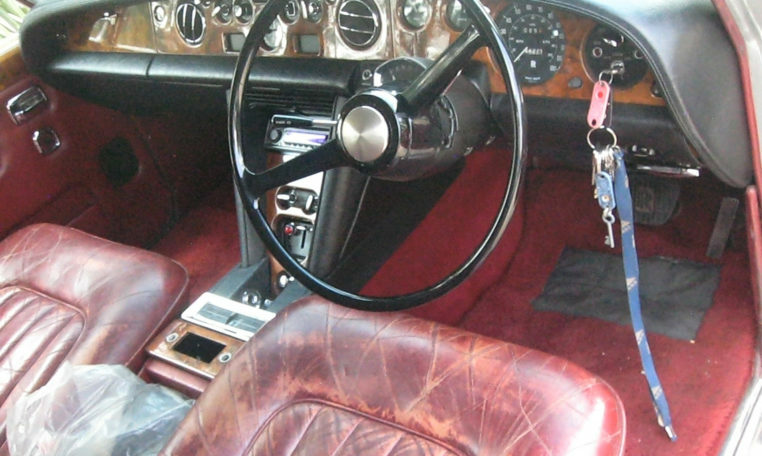 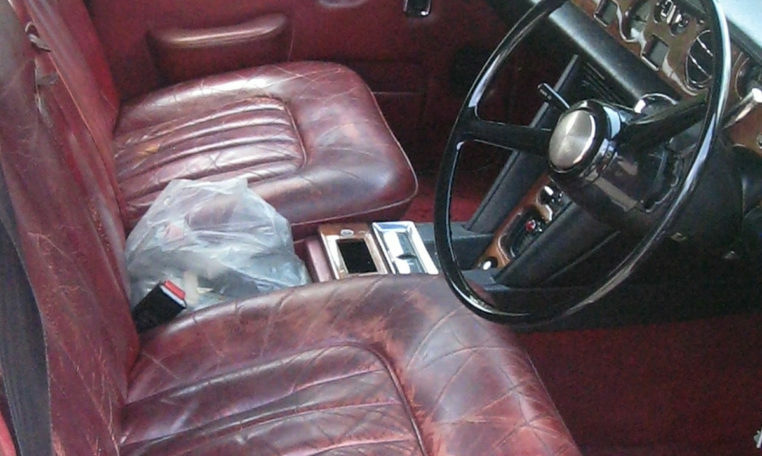 Both powerplants were coupled to a General Motors-sourced Turbo Hydramatic 400 automatic gearbox, except on the pre-1970 RHD models, which also used the same 4-speed automatic gearbox as the Silver Cloud. 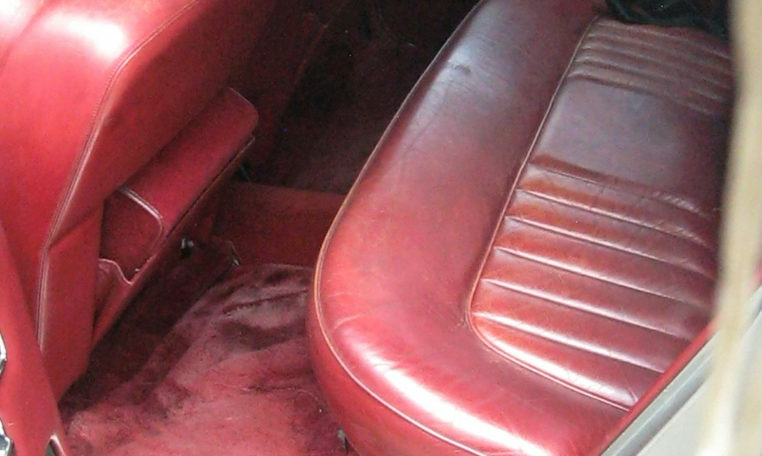 The Silver Shadow’s most innovative feaure turned out to be their high-pressure hydropneumatic suspension system that was licensed from Citroën. 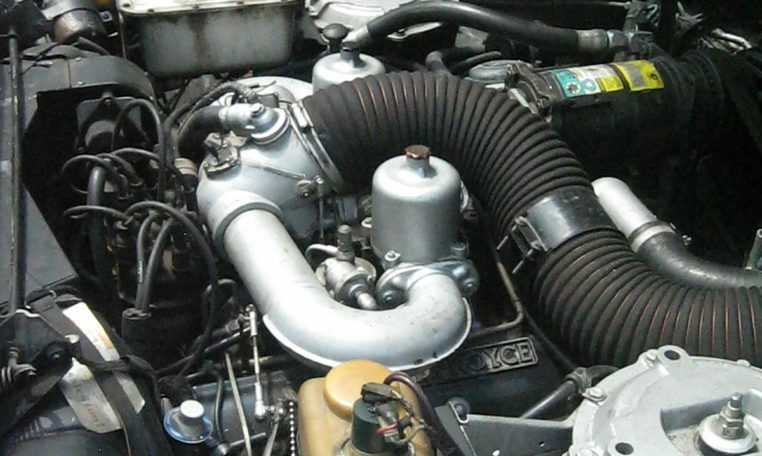 The system offered dual-circuit braking and hydraulic self-levelling suspension. 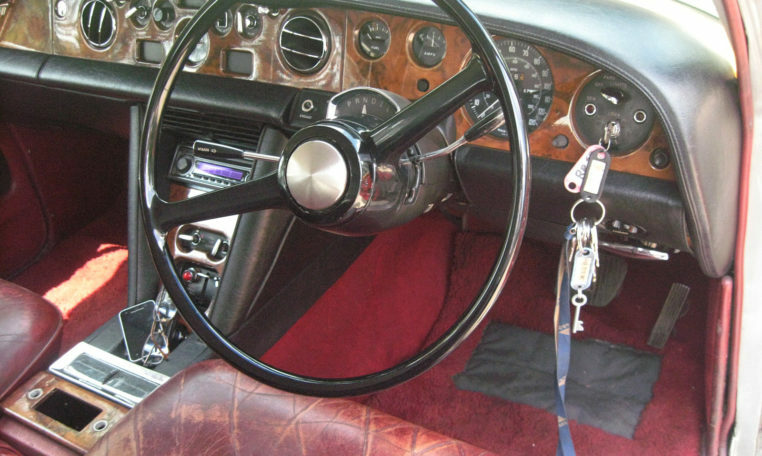 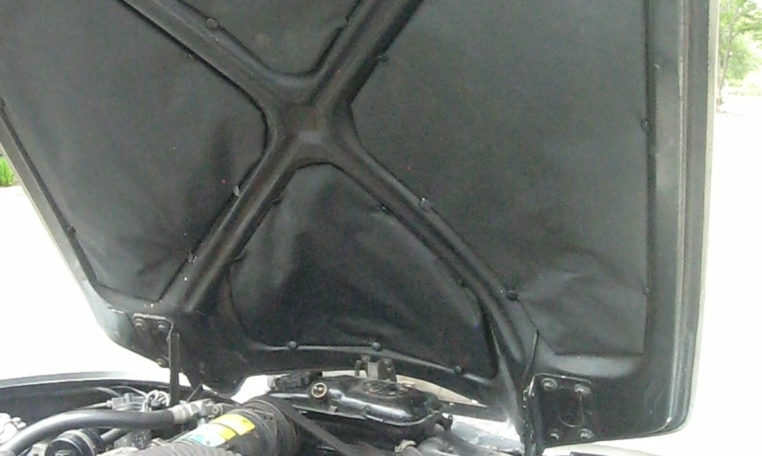 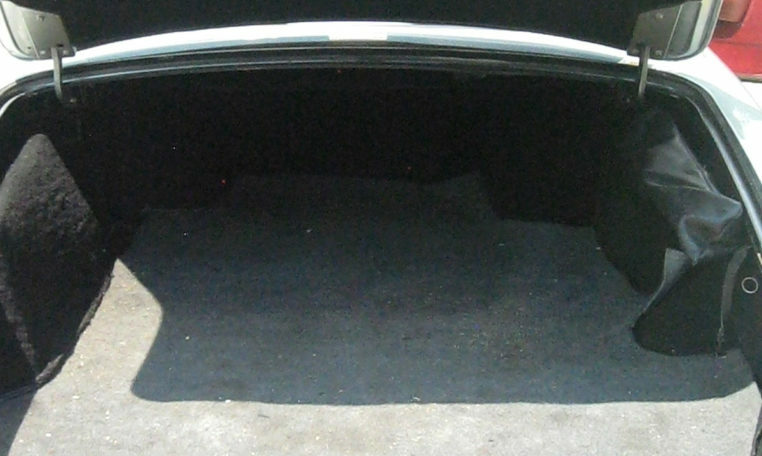 In the beginning, both the front and rear of the car were controlled by the levelling system; but the front levelling was later removed in 1969 as they had determined that the rear levelling was doing almost all the work. 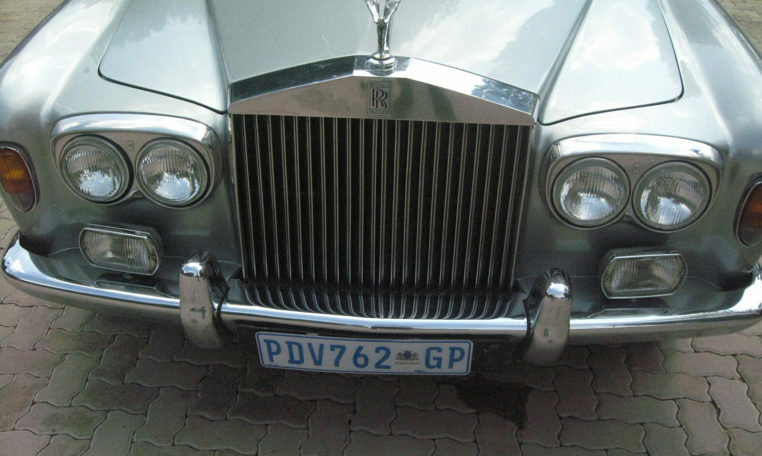 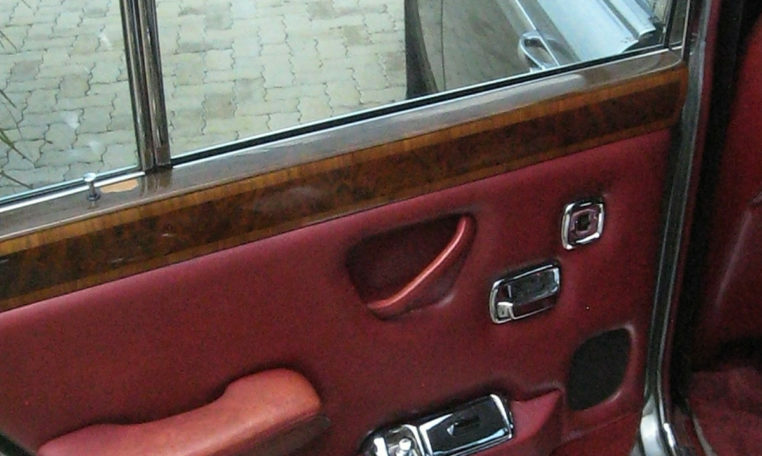 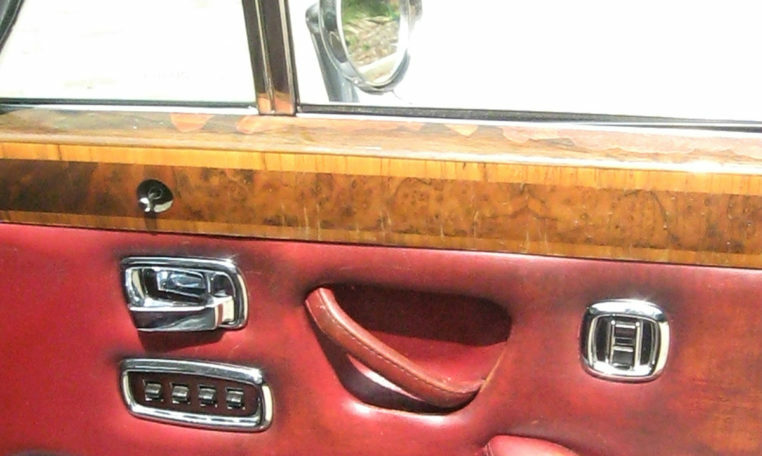 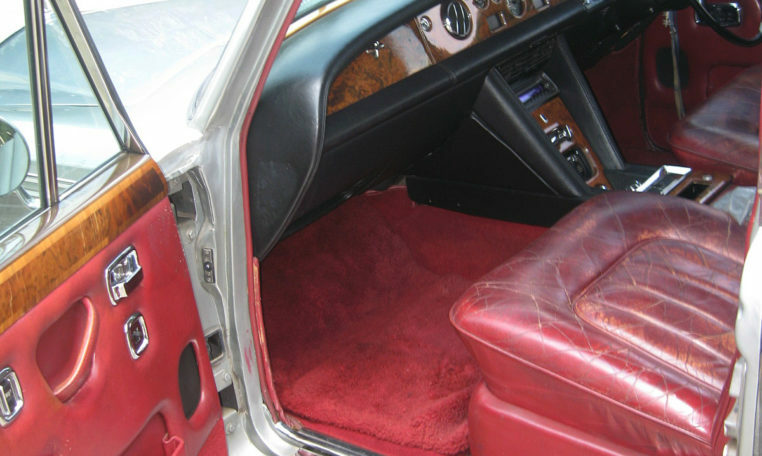 As a result Rolls-Royce achieved a high degree of ride quality from this arrangement.